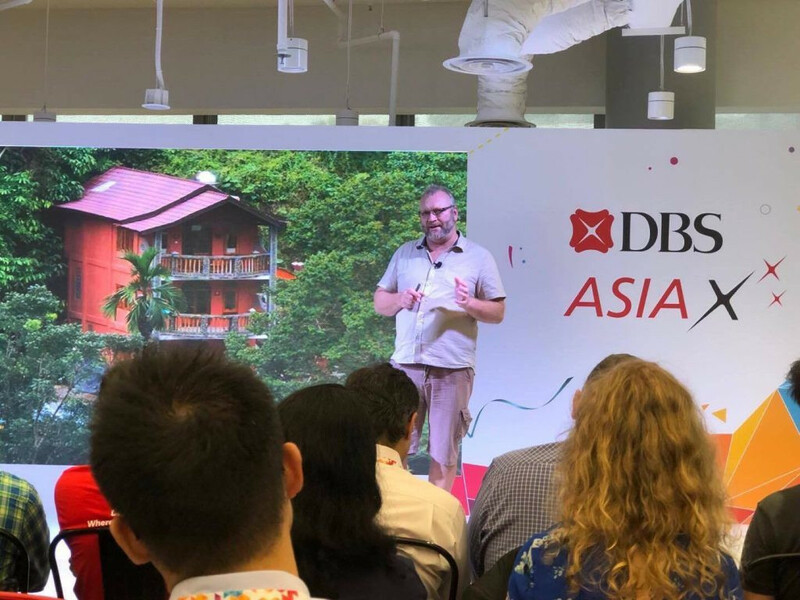 At this year’s Fintech Festival Neal Cross, head of DBS shared with us about his mission to save Orangutans in the Sumatran rainforest. Through his journey of ‘Jungle Innovation’, Neal identifies lessons that were instrumental in accomplishing the building of a social enterprise – ‘Hotel Orangutan’ in the remote Jungle of Sumatran. He implements innovation both in the thumping heart of a city and the deep tranquil of a rainforest. He also offered insight into how instilling an innovative program that develops creativity in a safe space that encourages competitive programs to generate solutions to problems within companies. 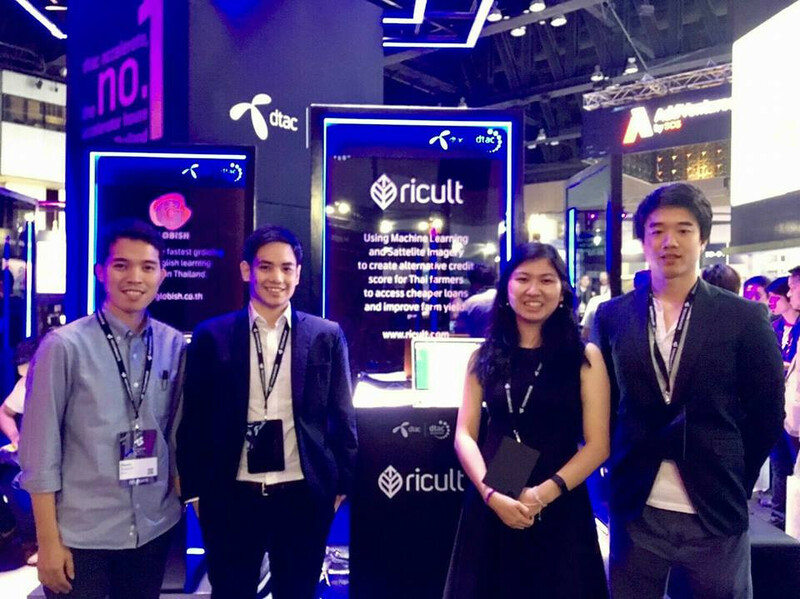 With an eye for innovation, gaps in markets with a solution based orientated focus, taking on the Singaporean banks and education was only the beginning of his developments. Delving into the Sumatran jungle and exploring the culture, he found a niche in an untouched jungle environment where the wildlife was becoming endangered, especially the Orangutans. His way of curating and building up this ecosystem was to build a small boutique hotel that would attract wealthy, executives, and CEO’s which would flood the area with expertise and of course capital. Managing to round up 50 CEO’s to come for a study tour of the jungle interior and environmental systems encouraged the Singaporean banks to become supportive of this otherwise obsolete business/program of saving Orangutans, providing jobs and education. With this seal of approval from such official bodies, the communities of Sumatran, such as the local mosque, the Orangutan organizations all wanted to work with Neal to get this project underway. 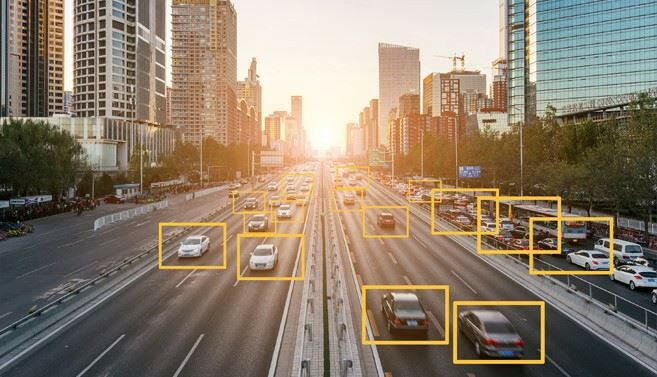 With extensive support from many different avenues this has allowed for this project to be a success and develop a strong business and beneficial community. DBS also has an extensive intern and nurturing program that turns students into startups by coming up with the concept to teach interns how to be innovators. With over 1,000 applicants, breaking them down to around 60 of the best applications through a hackathon produced some of the finest talents by placing them in teams, have phycologists test their stress levels and how they lead which lowered the numbers even more. With this select group, they then put them through an intense internship with 4 executive sponsors at the banks (from Singapore) and coach them like startups to create solutions. This pack of students with hardly any history in finance and no history in startups started to solve some of the banks biggest problems. This propelled DBS on to the millennial stage, where they won an award recently called the ‘millennial 20/20 best marketing branding award for a millennial program. 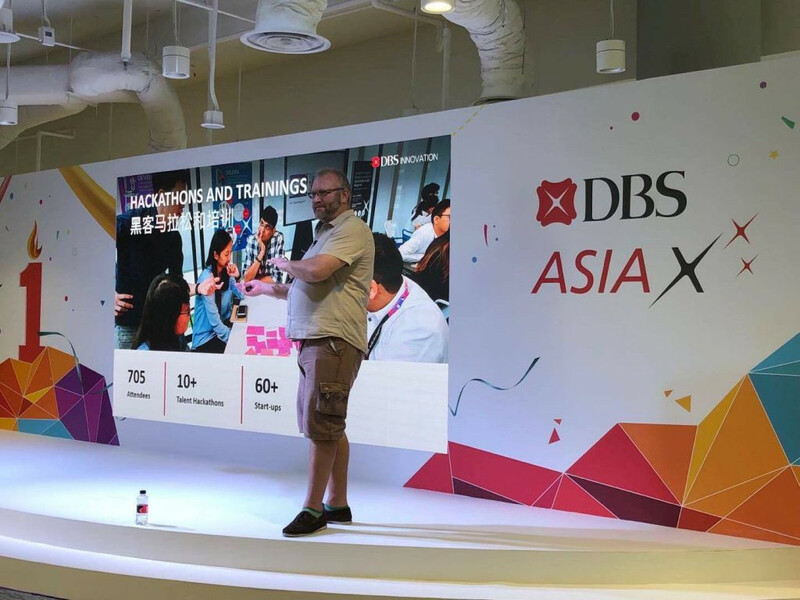 DBS encouraged the schooling system in Singapore to incorporate teachings of entrepreneurship, how to sell, how to pitch and how to do data analytics which gives them the tools to learn how to be an entrepreneur. In this current climate, these skills are more valued and needed than general information. Creating a crowdfunding platform and tool where people could communicate with the entire staff base on specific ideas and inventions is the best way to digitally start a conversation centered around the business of innovation. We have 1/3 of the entire banks globally engaged on this platform so far with around 25,000 and 8720 people have engaged on the platform which has helped to solve problems inside and outside the banking system which has generated some amazing innovators. Within DBS, Neal Cross has created ‘Maker Sessions’ which allow staff to build drones and robots while also connecting on a social level via poker nights for venture capitals. 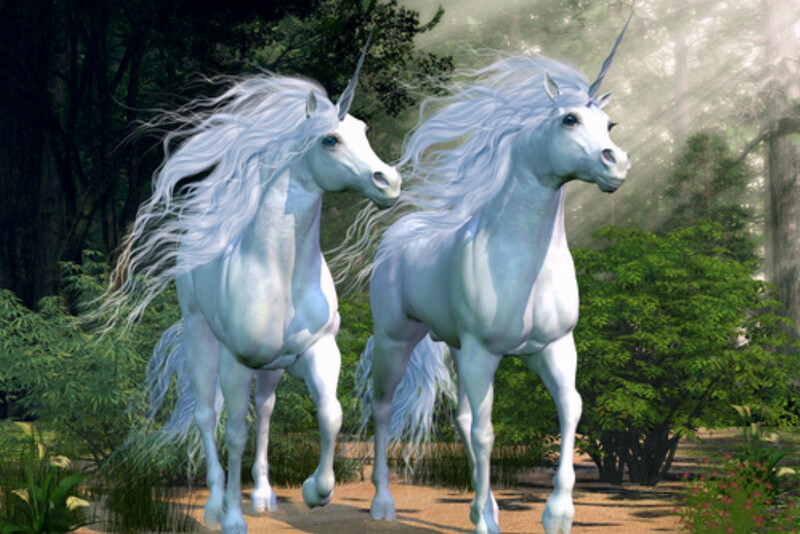 Having a strong community of innovators for guidance on startups provides the steps to take in order to generate ideas and create something unique. DBS now have multiple innovative spaces for people to collaborate & innovate. For innovation to fully develop, it’s crucial for companies to build protection, freedom, and inspiration into their framework to support innovation teams which can innately create new solutions. 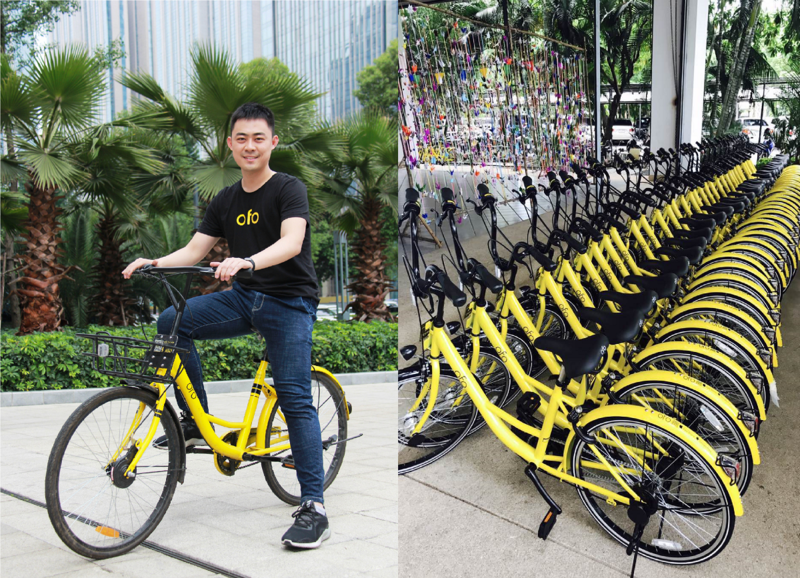 This inspirational man and DBS, truly are the incubators of revolutionary innovation and of cultivating a strong ecosystem which startups and other countries can implement their own unique framework to help curate innovative solutions to problems. 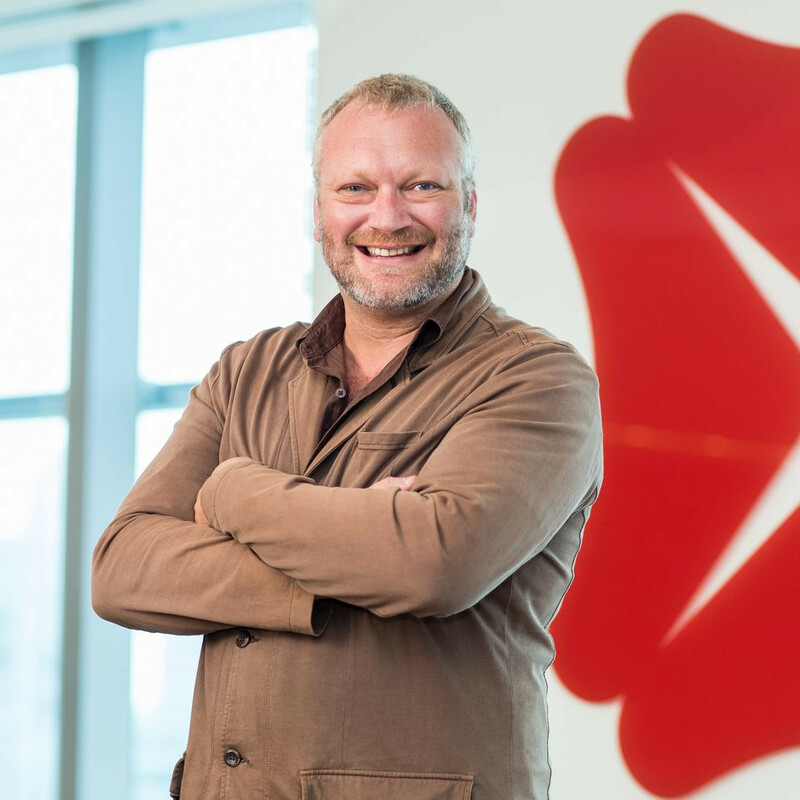 Neal Cross is Managing Director and Chief Innovation Officer of DBS Bank Chief innovation officer shares about his mission to save Orangutans in the Sumatran rainforest. Through his journey of ‘Jungle Innovation’, Neal identifies lessons that were instrumental in accomplishing the building of a social enterprise – ‘Hotel Orang Utan’ in the remote of the Sumatran Jungle. He is the Chief Innovation Officer of DBS Bank and a strong advocate for innovative thinking and culture. He was recently recognized as the most disruptive Chief Innovation Officer (CIO) globally by Talent Unleashed. He drives the bank’s innovation agenda regionally, as DBS moves to shape the future of banking, through enhancing customer experiences to better engage them in the digital landscape. 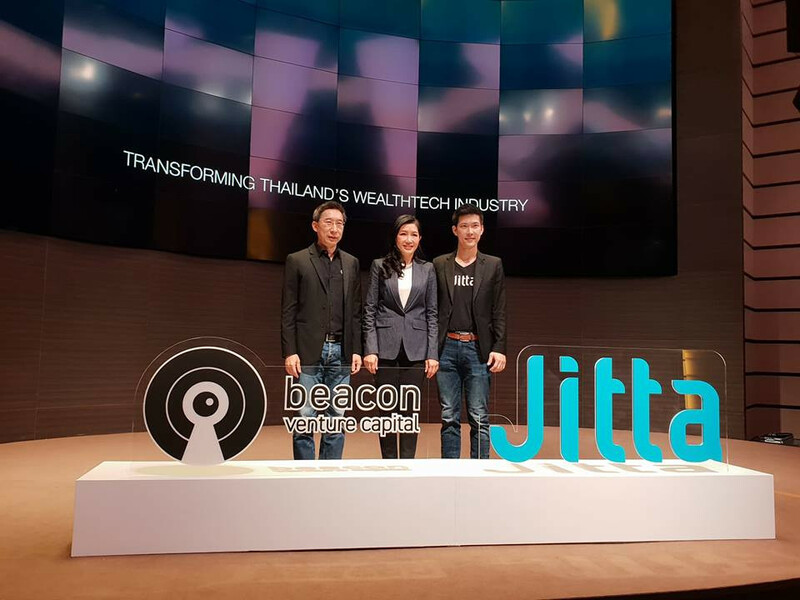 He has more than 20 years experience in technology, innovation, and financial services.